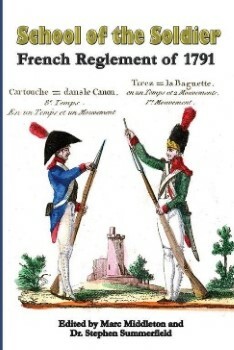 "- Facsimile 1803 edn.,164p., fully illus.with b/w figs., 16 colour uniform plates. ENGLISH TEXT This is the first of the three parts of the original Reglement and covers the drill exercises taught to all new recruits. It is thus the basis of all company drill and manoeuvres. There will follow the School of the Platoon and the School of the Battalion. R"